Looking at Lincoln is ADORABLE! This memorable book is told through the voice of a little girl who is curious about Abraham Lincoln, so she does a little reading at the library and then shares what she learns about his life and his legacy. 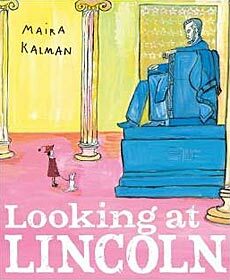 Author / illustrator Maria Kalman does a good job of "explaining" Lincoln in a young person's voice, with words and examples that children will understand. Note: There's about 5 or 6 pages that we paraphrase rather than read, since they are a bit too advanced for our first graders. Those pages are about the civil war and slavery. We want to briefly mention those topics to our little ones since they help the kids grasp Lincoln's importance in our country's history. But they don't need a lot of detail about that at such a tender age, right? Without even pre-reading, you will be able to paraphrase these pages easily, as Kalman's illustrations are a great guide. This book is aimed at K-3, so it's good that Kalman included these pages. Second and third graders can probably grasp their meaning (perhaps with some interjections from you). Please don't let this dissuade you from getting this fabulous book! 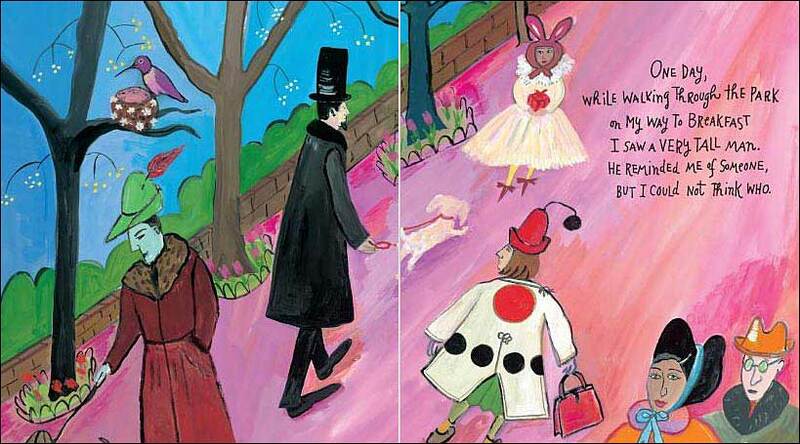 It is definitely one of our favorites for teaching about Lincoln to little ones! 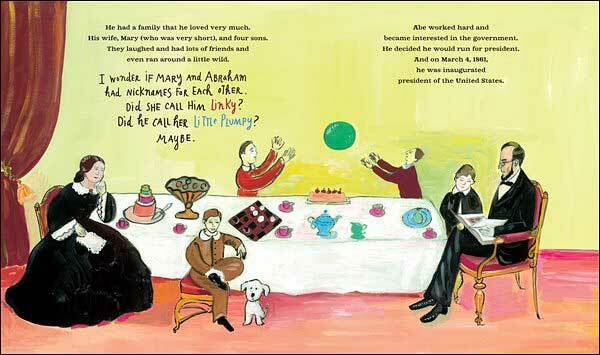 Below are the first two spreads from inside this book. We LOVE Kalman's style, don't you? 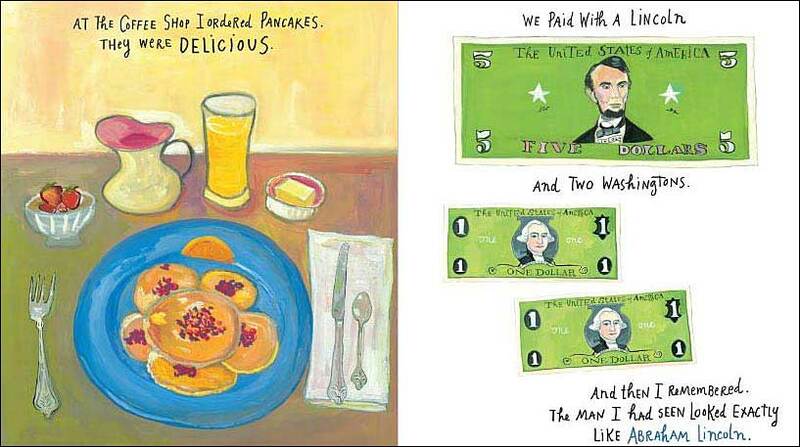 :)And, if you fall in love with Maira Kalman's illustration style (like we have), be sure to check out her adorable and funny ABC book What Pete Ate? Just $2.75 each! Check out our list of kids books about Abraham Lincoln and George Washington. We often have this fantastic book in our inventory. If we don't currently have this exact book today, there are likely lots more good books to choose from about this particular topic. All at 50% off retail!